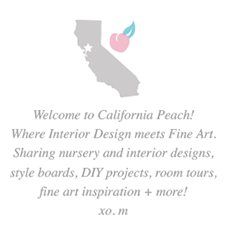 California Peach: DIY Children's Clothing Display | Gold Horses & Reclaimed Wood! 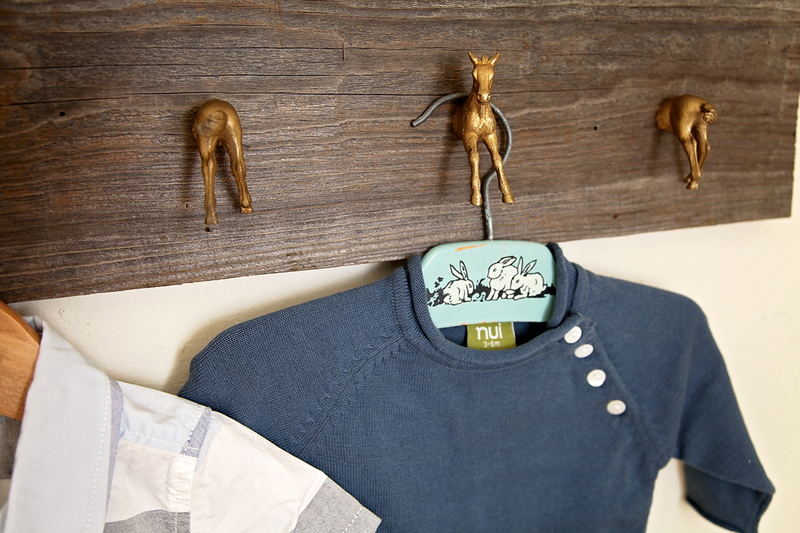 DIY Children's Clothing Display | Gold Horses & Reclaimed Wood! 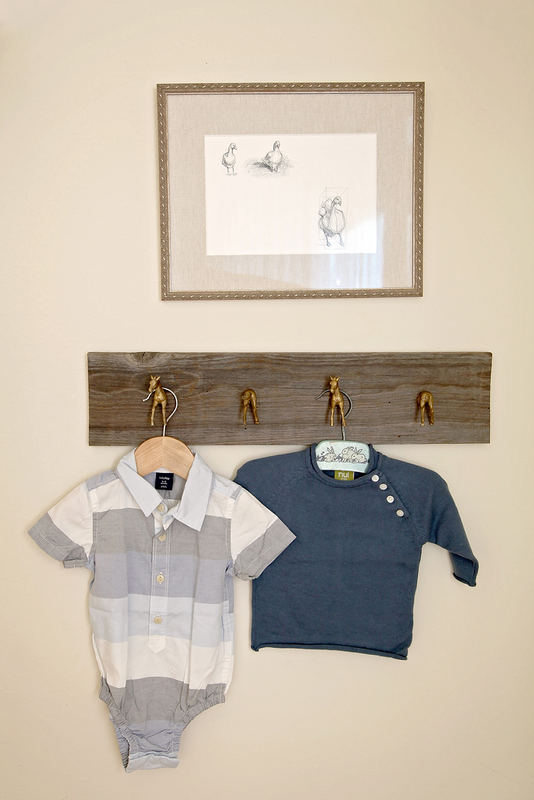 This is the clothing display rack in my son's room (style board + room tour). We did it completely DIY and used salvaged weathered fence boards, which has a barn-wood feeling! All the materials we used and those I could find references for are linked to below. Under that I have provided the measurements! (TIPS: All the horses were cut in half as close to the visual center as possible. After cutting the horses in half, in the back we made holes with an awl at the visual center.) I love how it turned out! 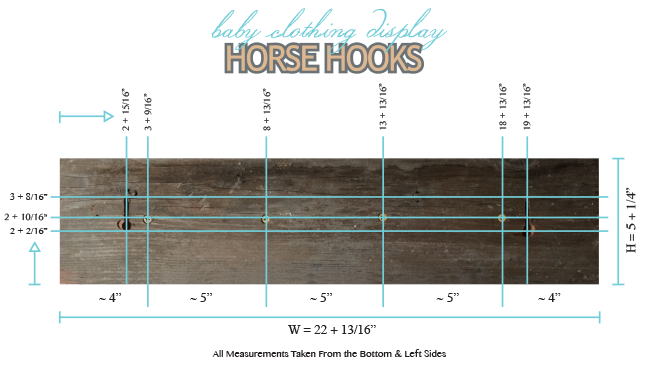 It is just perfect for my sons room which has a Colonial / Western feeling, and it's so practical too! A pretty easy and fun project. I'll be sharing a grown-up version and a few more tips next Monday!